The number of periods (candles) used to analyze price action and volume for the slow period. The number of periods (candles) used to analyze price action and volume for the fast period. Specifies by how much the price needs to speed up and by how much the volume needs to increase to trigger a new long (buy) trade. Specifies by how much the price needs to speed up and how much the volume needs to increase to trigger a new short (sell) trade. Drop down menu where you can select the type of stop loss. Input field for fixed stop loss value in pips. The input field supports fractional pips. As example: 60,8 (60 pips and 8 points). Specifies the % factor used for calculating the stop loss. As the name indicates, the stop value will be individually calculated for every trade. The distance in pips depends on the volatility. A higher percentage will increase the stop loss value, while a lower number will decrease the stop loss value. Input field for fixed trailing stop loss in pips. The input field supports fractional pips. As example: 60.8 (60 pips and 8 points). Specifies the % factor used for calculating the trailing stop loss. As the name indicates, the trailing stop loss value will be individually calculated for every trade. Drop down menu what allows you to enable/disable the breakeven feature. When enabled, the EA will move the stop loss to breakeven (entry price), as soon the trade is X pips in profit. X = ‘Break Even Level, pips’ input value. Drop down menu where you can select the type of take profit. Input field for fixed take profit in pips. The input field supports fractional pips. The percentage factor used to calculate the take profit value in pips. TP = SL (either fixed or dynamically calculated) x Dynamic TP, %. Example: When the SL is 50 pips and the Dynamic TP percent factor is set to 500 the TP value will be 250 pips (50 x 500%). Can be either ‘Percent’ or ‘Fixed’. If set to ‘Percent’, the defined percentage of the account equity or account balance will be used as base to calculate the lot size per trade. If set to ‘Fixed’, a fixed predefined lot size will be used for trading. Drop down menu where you can choose if the base for lot calculation. Calculation can be based on the account equity or on the account balance. Input field for fixed lots per trade. Fractional lots (0.01) are supported by the EA but may not be supported by your broker. Input field for risk per trade in percent of the account equity or account balance. Drop down menu where you can enable/disable the time filter feature. When enabled the EA will open new trades only during the specified time. Note that open trades will be not effected by the time filter. Start and End Time for the time filter. Time format is 24h. A simple feature to limit the number of open trades. 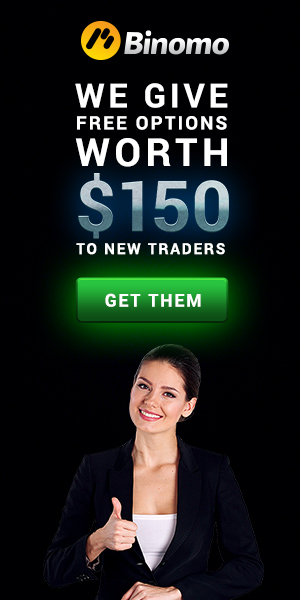 Forex Force is very robust and tests has shown that the system will be profitable even when the spread is very high. However, high spreads means higher trading costs and higher risk. The ‘Max Spread’ filter will prevent the EA from opening new trades when the spread is equal or higher than the chosen input value. Allows you to enable/disable comments. FIFO When enabled (on) the system will trade according to the NFA Compliance Rule 2-43b. Traders usually refer to it as the FIFO or first in first out rule. When disabled (off), the FIFO rule will be ignored and trades will be closed by the calculated stop loss, take profit or trailing stop loss value. Magic Number for Core 1 and Core 2. It can be any number. Please note that the magic numbers need to be different for core 1 and core 2. Drop down menu to enable/disable e-mail notifications.